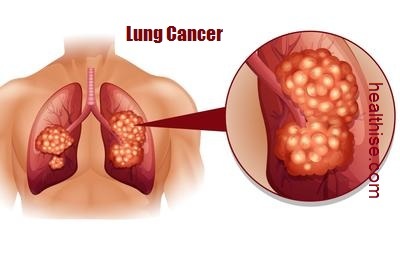 Lung cancer is caused by uncontrolled rapid growth of cells in tissues. This type of cancer is most common and results in more than a million deaths every year. This form of cancer is indicated by weight loss or coughing up blood or regularly going out of breath. It can be noticed on chest radio graph also called CT Scan. The treatment that one gets depends on the stage that one is in. Treatment of cancer include surgery, chemotherapy and radiotherapy. Lung cancer may be the most tragic cancer because in most cases, it might have been prevented, 87% of lung cancer cases are caused by smoking. Lung cancer has long been the most common cause of cancer death in men and since 1987 it has also become the most common cause of cancer death in women. Lung cancer is the second most commonly occurring form of cancer in most western countries and although the lung cancer incidence is less common in developing countries, the rapid increase in the popularity of smoking will see the number of lung cancer sufferers in those countries quickly catch up with the western world. The three main causes of cancer are: carcinogens (which is found in tobacco ), viral infection and ionizing radiation. If exposed, it causes changes to DNA in tissue lining the bronchi of the lungs. With more and more tissues getting damaged, cancer develops. Smoking is the main cause of cancer. In one cigarette, there are 60 different known types of carcinogens like radioisotopes and nitrosamine. Smoking is believed to cause 80% of these type of cases. The risk is generally less in non -smokers. The time that a person smokes proportionately increases the chances of this cancer. 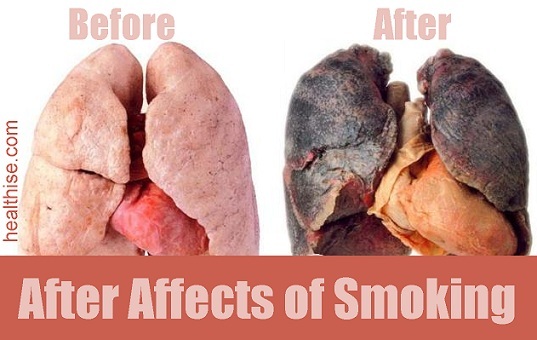 There has been cases that if a person stops smoking, the damaged cells gradually gets repaired. In non-smokers, passive smoking is the main causes of lung-cancer. Passive smoking is one inhaled from another person smoking. The gas produced from breakdown of radium. This gas is colourless and odorless. Exposure to radiation ionize the genetic material, causing mutations that sometimes turn cancerous. Exposure to radon gas is the second major cause of lung-cancer after smoking. Asbestos is responsible for causing a number of cancer, one among them is lung cancer. In UK, asbestos accounts for 2 to 3% of the total cases of this cancer. Viruses are responsible for causing lung-cancer in animals. And research has shown of similar potential in humans. Particulate matter has a direct link to lung cancer cases. The size and quantity of particles in air determines the risk of getting lung-cancer. If concentration of particles increases beyond 1%, then the chances of getting this increases by 14%. Just like may other cancer forms, lung cancer is started by activation of ocnogenes or inactivation of tumor suppressing genes. Ocnogenes are those genes that make people more vulnerable to cancer. Ocnogenes are produced from proto-ocnogenes, when the latter is exposed to particular carcinogens. In k-ras proto-oncogene, mutations takes place which are responsible for 10 to 30% of lung adenocarcinomas. Tumor invasion, angiogenesis, apoptosis, cell profileration are regulated by the Epidermal growth factor receptor. Mutations and amplification of EGFR are common in non -small cell lung cancer. The basis for treatment with EGFR-inhibitors are also provided by Mutation and amplification of EGFR. Chromosomal damage can lead to loss of heterozygosity which can result in inactivation of tumor suppressor genes. Damage to four of these chromosomes:3p, 5q, 13 q and 17 p are common in small cell lung-carcinoma. The p53, which is a tumor suppressor gene, located on chromosome 17p is affected in most of the cases. c-MET, NKX2-1, LKB1, PIK3A and BRAF are also mutated or amplified.  Various genetic polymorphisms are supplementary to this cancer. Some of them include polymorphisms in genes coding for interleukin-1, cytochrome p450, apoptosis promoters such as caspase-8, and XRCC1, which is DNA repair molecule. People having these polymorphisms are more likely to develop lung cancer on being exposed to carcinogens. The research has revealed that MDM2 309G allele is a low-penetrant risk factor for developing this in Asians. Lung cancer may grow into certain nerves in the neck, causing a droopy eyelid, small pupil, sunken eye, and reduced perspiration on one side of the face; together these symptoms are called Horner's syndrome (see Autonomic Nervous System Disorders: Horner's Syndrome). Lung cancer may grow directly into the esophagus, or it may grow near it and put pressure on it, leading to difficulty in swallowing. Lung cancer may also spread through the bloodstream to the liver, brain, adrenal glands, spinal cord, and bone. Treatment for lung cancer depends on the cancer's specific cell type, how far it has spread, and the patient's performance status. If investigations confirm lung cancer, CT scan and often positron emission tomography (PET) are used to determine whether the disease is localised and amenable to surgery or whether it has spread to the point where it cannot be cured surgically. Treatment is usually a combination of surgery, chemotherapy and radiation therapy. However long you have been smoking, it's always worth quitting. Every year you don't smoke decreases your risk of getting serious illnesses, such as lung cancer. After 10 years of not smoking, your chances of developing lung cancer fall to half that of someone who smokes. Quit Smoking therapists offer advice and encouragement to help you quit smoking. Your GP or pharmacist can also give you help and advice about giving up smoking. There's strong evidence to suggest that regular exercise can lower the risk of developing lung cancer and other types of cancer. Adults should do at least 150 minutes (2 hours and 30 minutes) of moderate-intensity aerobic activity each week. Being familiar with the symptoms of lung cancer can help you get it diagnosed and treated in the quickest manner possible and avoid confusing it with some other lung condition. This is essential to ensuring that your odds of beating it are as high as they can be and that you don’t have to experience the devastating symptoms that can occur when lung cancer remains untreated over an extended period of time. No matter how long you have been smoking, it’s never too late to quit. If you don’t you really do put yourself at risk of lung tumors that can prove fatal. Lung cancer is among the most common cancers in the Western world. 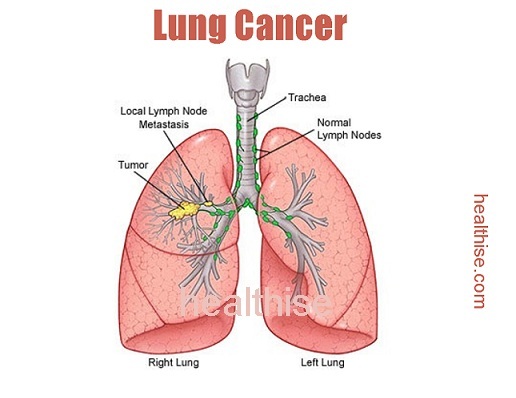 Lung cancer occurs due to the growth of malignant or abnormal cells in the lung. It is the third most common cancer in males and the fifth in females. Yet lung cancer is increasingly becoming a woman’s problem. The risk for dying of lung cancer is 20 times higher among women who smoke two or more packs of cigarettes per day than among women who do not smoke at all. Cancer of the lungs is one of the deadliest forms of cancer. While it may take a period of years to develop, the cancer often goes undetected until late in the process. Stop smoking.